The Extra Data Offer is available to Redmi 2, Redmi 2 Prime, Redmi Note 4G, Redmi Note 4G Prime, Mi 4i, Redmi Note 3, Mi 5, Mi Max Prime, Redmi 3s, Redmi 3s Plus, Redmi 3s Prime, Redmi Note 4, Redmi 4A and Redmi 4 handset users. All new users activating the service for the first time after 16th June are entitled for the Extra Offer. If you a Mi handset user and started using Jio before 16th June, you would not be eligible for extra data. 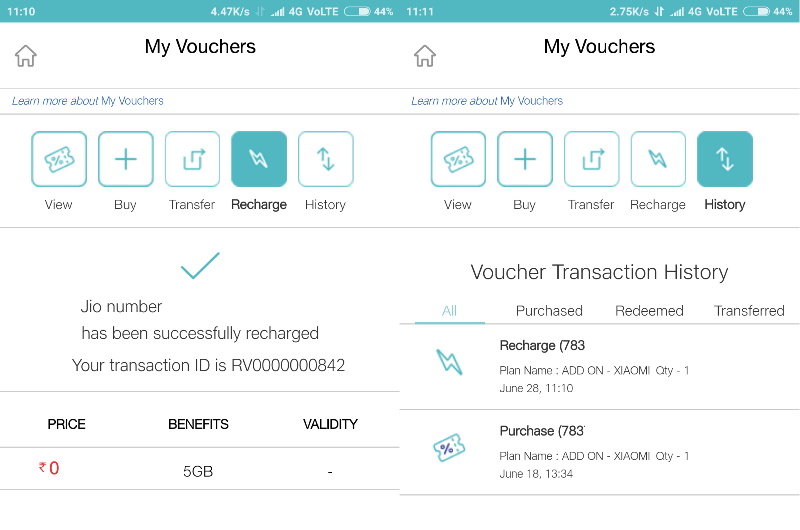 Thereafter, the Additional Data Voucher shall reflect under the My Plans section. This Extra Data can be available for a maximum of 6 times during the offer period.